You may remember back in December I did a post titled Decorating 911 where I was helping my sister update her living room from across the country. (I'm on the east coast and she lives in the mid west.) Her birthday was this month and I thought the perfect gift was something to jump start her redecorating, like these custom made pillows. 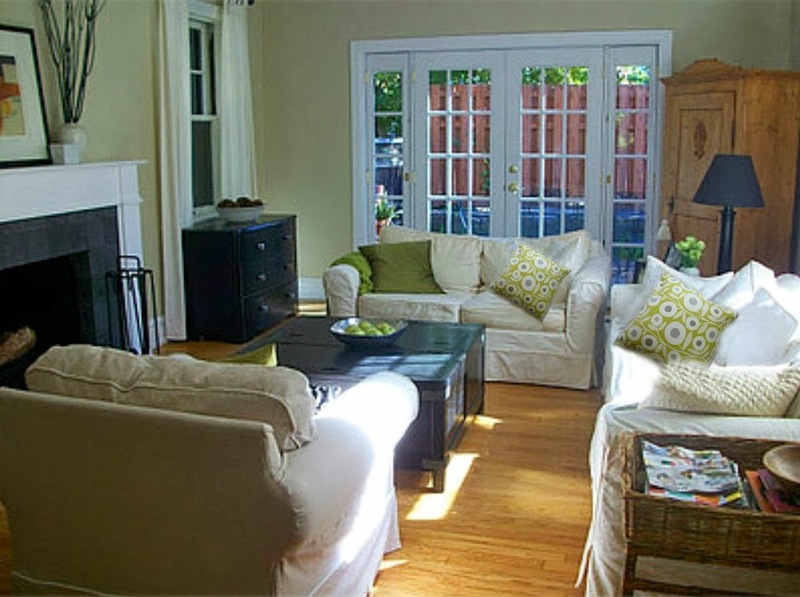 I thought the black and white pillows she had looked dated and I wanted to bring more of the pretty spring green color along with gray into the room. 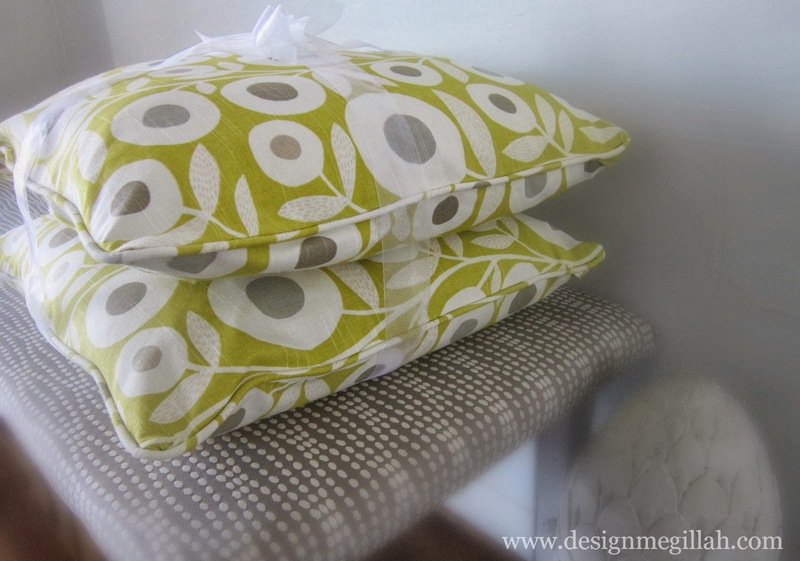 I found the fabric here--it's a modern take on flowers that I had made into two 18-inch pillows. She likes them! 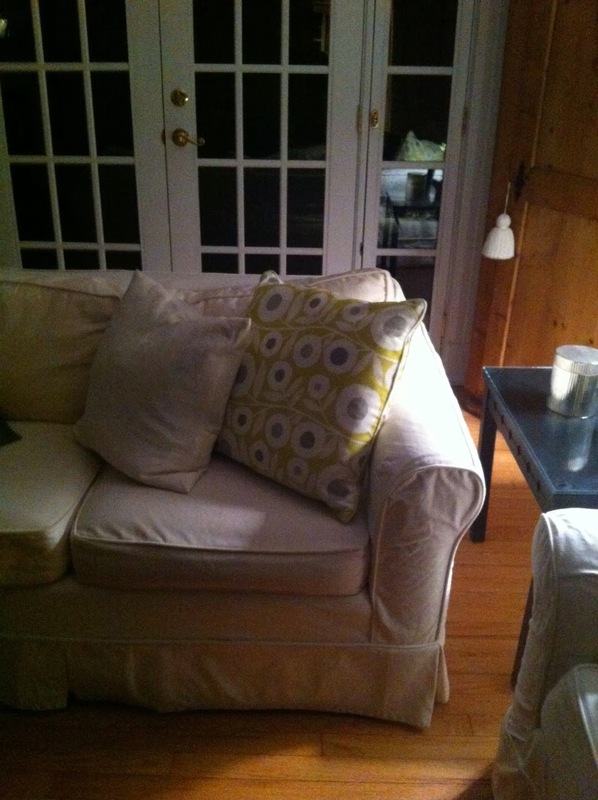 The room still needs a rug, window treatments, new lamps and more so maybe these pillows will get her moving!